From the mouth of Rio Ferdinand himself, Virgil Van Dijk is recognized as Liverpool’s best defender in the Premier League’s history. We are sure that there are many historical defensive players in Liverpool’s history before the Premier League started in the ’90s, but Rio Ferdinand is convinced that Virgil Van Dijk is the absolute best from the modern era. Watching his very latest performance against Napoli this Tuesday, we are going to have to agree with this assessment that the Manchester United legend made right before the match. 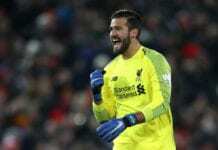 The Dutch defender who started shining for Southampton, is not only the biggest Liverpool defensive player in recent memory, he is also one of Holland’s most pleasant surprised who has helped his national team become relevant once again. The man truly has it all, he’s got perfect timing, he’s got quality with the ball at his feet, he’s got insane leadership skills, and also great style when he is going after an offensive player to take the ball from them. The man even has good luck when he tackles, because he could’ve easily gotten sent off against Napoli with a nasty slide he made on Dries Mertens and the referee only showed him a yellow card after. Rio Ferdinand summed it all up with a statement during his punditry work for BT Sports. 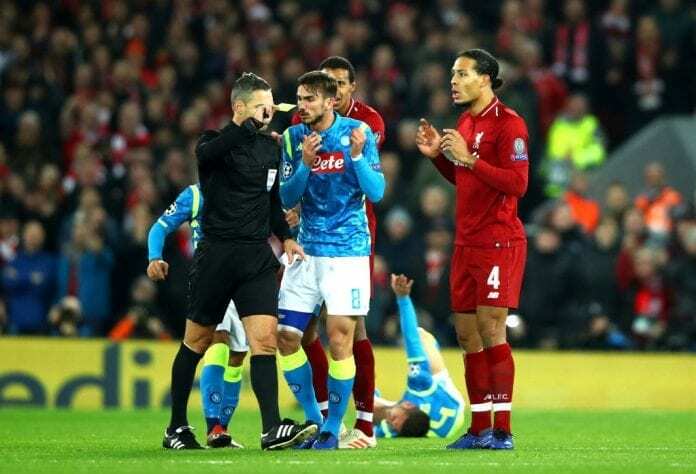 Virgil van Dijk was shown a yellow for this challenge on Dries Mertens. When asked how important Virgil Van Dijk has been for Liverpool this season, Ferdinand was quick to point out that he is the best defender in the club’s modern history right in front of Jamie Carragher’s face (who is a Liverpool legend). “An absolute calming on this Liverpool team, not just on the back four,” Ferdinand said on BT Sport. “The the size of him, the stature, he’s awesome, he’s a huge, huge presence but he’s so quick as well,” he concluded. Looking as Jürgen Klopp’s impeccable taste when it comes to picking his talent for the squads he has managed, it’s not even odd that he pushed for Liverpool to pay €80 million for a defender and turn him into the most expensive centre-back in football history. 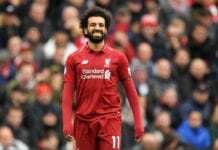 Virgil did it once more on Tuesday, as he effectively helped Liverpool qualify to the Champions League’s round of 16 just below Group C leaders PSG. By getting that next-round ticket, Virgil Van Dijk’s presence alone already makes the Reds one of the most feared opponents from pot 2 when the draw takes place by the end of the week. 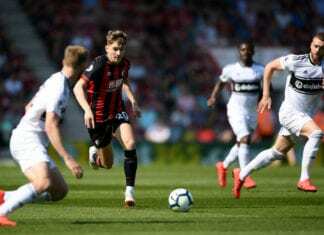 Klopp’s side only lacked a player like this Dutch defender in order to maybe have better luck against Real Madrid in last season’s final, maybe he could become an important factor this season for the English club. There is no doubt by this point, that Virgil Van Dijk is already running to be selected as Europe’s most effective transfer for this season in all of Europe. Rio Ferdinand’s statement is a sign, but the player’s constant amazing performances prove it. Do you think Virgil Van Dijk can become one of Europe’s top defenders this season? Please share your opinion in the comment section down below.